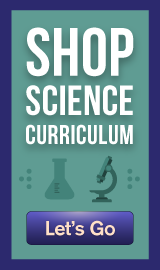 30% SAVINGS on orders of 8 or more books. FREE SHIPPING for your first 8 books, and only $1.00 for each additional book in the same order. MINIMUM ORDER: 8 books. 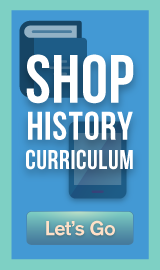 Tip: Team up with your local homeschool friends to take advantage of these great savings! Ready to shop? Simply use the pop-up menus below or enter a search term in the "Search for" field below to find the products you want! These write and wipe flash cards will help children learn to write their uppercase ABCs. Each card features the outline of a letter on one side with proper stroke order noted, and a picture and word illustrating the letter on the other. A dry-erase marker is included so children can write and erase letters over and over! 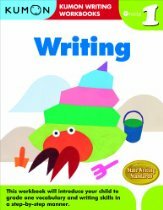 This sequel to ABCs Write and Wipe: Uppercase Letters will help children learn to write their lowercase letters. These flash cards also include a dry-erase marker which allows children to practice the stroke order of lowercase letters again and again. 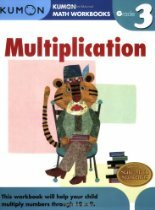 This book builds on foundational pencil-control skills by tracing lines through increasingly challenging mazes. The exercises have many three-dimensional illustrations, such as towns, streets, and parks, which engage childrens curiosity. 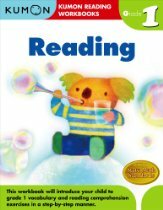 This amusing practice will also help children acquire the ability to concentrate, a crucial study skill for the emerging student. "You’re either a cat person or a dog person," the saying goes. With this craft book, though, children don’t have to choose one or the other. All they have to do is have fun cutting, pasting and assembling their own personal pet (potty training not required). Remember the mouse who comes to the aid of the lion with the thorn in his paw? Children can make an Aesop's Fable come to life when they complete this King of the Jungle and his mousey counterpart. 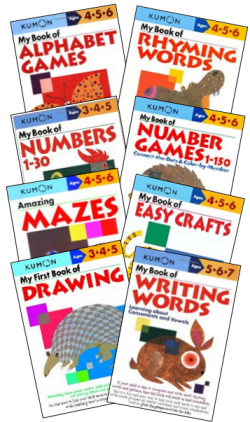 Prepare for their first day the Kumon way. 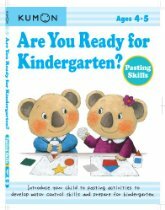 Our vibrant and fun activities introduce important concepts and tools that children encounter on their first days of school: the alphabet, numbers 1-30, shapes, scissors, pencils, and more. 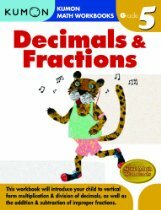 With our enjoyable exercises, your child will feel confident for his or her first day of school. 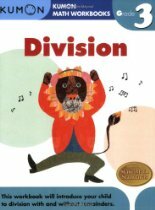 This book will help your child become familiar with glue and pasting paper. Your child will learn how to paste paper parts and complete art projects a great way to start developing their motor control skills. Ages 4 and up. 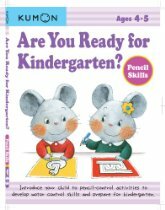 This book will help your child become familiar with using a pencil. By following the colorful step by step exercises, your child will enjoy developing pencil control and be prepared to write letters and numbers. Ages 4 and up. 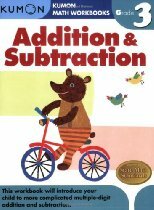 This book will help your child become familiar with the numbers 1-30 and shapes in preparation for kindergarten. 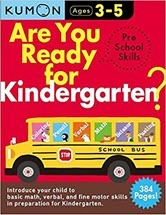 With step-by-step exercises and fun activities, your child will have fun while getting a head start on his or her first official year of school. 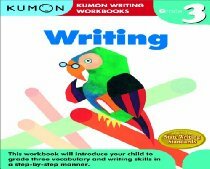 Kumon Workbooks use the Kumon method to help children remain motivated as they learn. 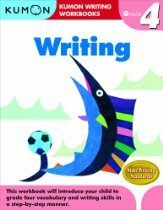 Each workbook focuses on teaching one specific skill from start to finish. Each Workbook is 8 1/4 by 11 2/3 inches paperback, 80 pages, and in full color. 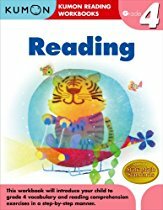 For ages 4-6. Each workbook is 8 1/4 by 11 2/3 inches paperback, 80 pages, and in full color. 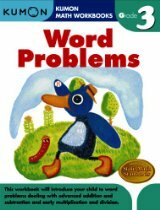 For ages 2-5. 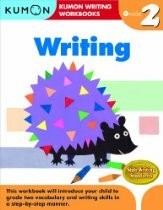 Easy Telling Time: Write and Wipe! Learning to tell time is a great way for children to become acquainted with early math concepts. These cards help children link numbers with the corresponding clock faces, and teach both analog and digital time. Each card features write and wipe capability so children can enjoy repeated hands-on practice! 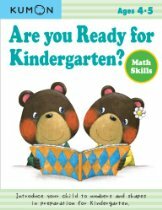 Designed for young children, The First Steps series teach motor skills and problem-solving abilities that are a child's First Steps towards success. Each First Steps Workbook is 5 7/8 x 8 1/4 inches, paperback, 40 pages, and in full color. For ages 2-5. 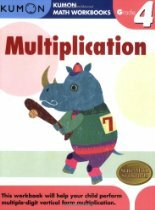 By completing this workbook, multiplying numbers 1 through 10 will become second nature for your child. Ages 7 and up. 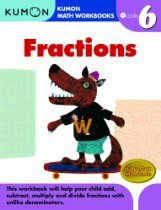 Your child will master reducing fractions to their common denominators in order to add, subtract, multiply and divide fractions without difficulty or frustration. Ages 10 and up. 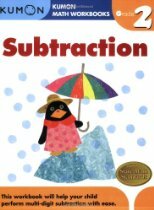 This workbook will help your child fully comprehend these essential math concepts and advance without frustration. Ages 10 and up. 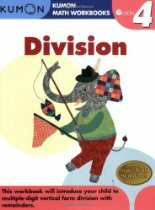 Introduce your child to Geography through fun activities including stickering, coloring, mazes, and more. 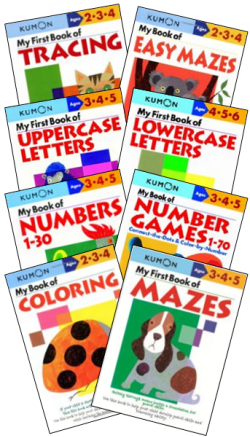 Each Kumon Geometry workbook begins at an accessible starting point and progresses in incremental steps so that children do not get frustrated or confused. 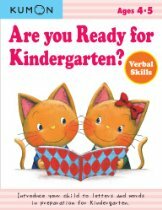 Each new skill is taught, practiced, and reviewed so that your child will gradually build strong match skills. 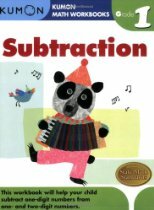 The exercises are carefully leveled from page to page so your child learns without anxiety and becomes more confident. 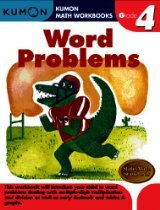 This workbook contains several problems that children may find challenging. These problems are marked with a "light bulb" icon, and you will find them explained in more detail in the "How to Solve" sections. 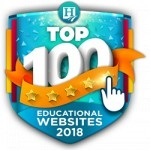 Ideal for Grades 7-8. 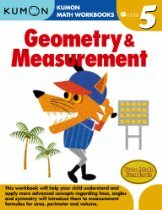 Most grade-school workbooks try to cover the full range of topics in one workbook, and as a result do not dedicate enough pages to important mathematical concepts. 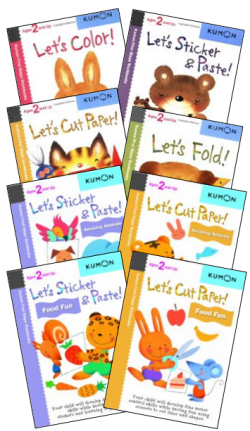 Kumon's research has found, however, that children find learning easier when they tackle one skill set at a time. 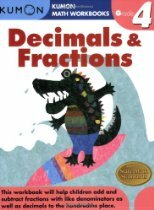 With these findings in mind, we designed our newest line of workbooks to help children with one particular mathematical skill set per book. 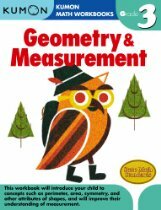 This workbook will help your child learn how to compose and decompose two-dimensional shapes and group objects by like properties, and will improve their understanding of measurement concepts. 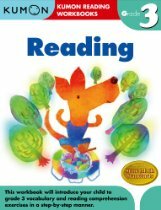 This book is for children who can read and write the twenty-six letters of the alphabet. Words that are familiar to children, such as hat, bat, rat and cat are grouped by the vowel and consonant combination of the last two letters. 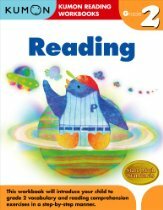 Through games and exercises that encourage children to trace letters and read aloud, children will learn how to read and write simple words. 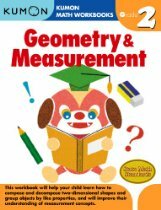 This workbook will introduce your child learn to concepts such as perimeter, area, symmetry, and other attributes of shapes, and will improve their understanding of measurement. 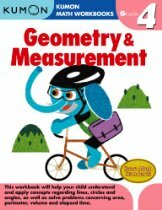 This workbook will help your child understand and apply concepts regarding lines, circles and angles as well as solve problems concerning area, perimeter, volume and elapsed time. 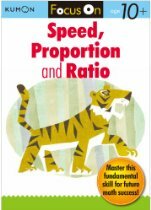 This workbook will help your child understand and apply more advanced concepts regarding lines, angles and symmetry and will introduce them to measurement formulas for area, perimeter and volume. 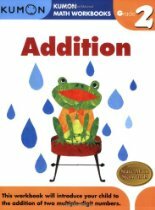 This workbook will introduce students to more complicated multiple-digit addition and subtraction. 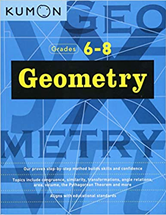 Activities emphasize advanced properties of circles, the concepts of symmetry and ratio, and calculating the volume of a geometric solid among other applied measurement problems. 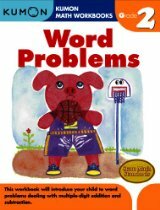 Kumon word problem books feature the most practice material of any math workbook available. And our step-by-step, logical approach will allow children to progress at their own rate from simple to more complex problems. 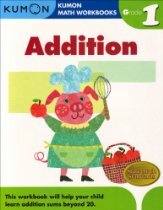 This book features Addition and Subtraction. 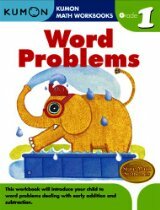 Kumon word problem books feature the most practice material of any math workbook available. And our step-by-step, logical approach will allow children to progress at their own rate from simple to more complex problems.